Skyweb Aviation has successfully used Gold Seal Ground School for over three years. And now, it is time for you to succeed! Jeff is an Award-Winning Author! The Skyweb Ground School is comprehensive and will get you through the FAA written test, all the way to your final checkride. You will enjoy it. Click below to get started. "I’ve seen a lot of ground training programs and Gold Seal clearly stands out at the top. Its unique, interactive style of knowledge transfer is engaging and highly effective. Whether you’re a student pilot or a rusty pilot, Gold Seal is the gold standard for online pilot training programs. This is the one you want." 50+ Interactive Modules and the Smartest Quizzing Engine on the Planet Make Learning Fun! "My advice for new student pilots: learn the fundamentals and do your homework. There is no better way to save money during your flight training. And my recommendation for this is the Gold Seal Online Ground School. It is a quality product, and one you will enjoy using." 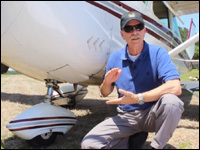 "The requisite knowledge for being a safe pilot goes well beyond the requirements to pass the FAA Knowledge Tests. Whether you are a left-brain or right-brain learner Gold Seal Online Ground School will take you to that higher level of knowledge. I highly recommend Gold Seal for all pilots seeking more than the minimums." "Gold Seal Online Ground School sets a new standard for aeronautical knowledge training. The presentations are superb and the interactivity greatly enhances learning and retention. There's nothing else like it. Gold Seal should be your choice. It certainly is mine." 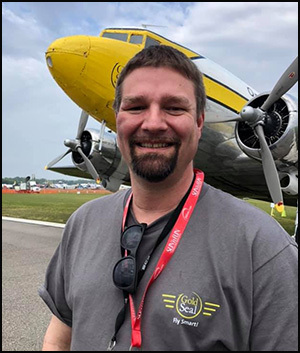 "I just want to thank you for a great ground school system. I have wanted to be a pilot ever since I was a kid. I have now passed your course and am ready to take my FAA written test. Then on to the check ride. Your Gold Seal course has been fun to work with and has made a difficult subject easy to learn. I’ve really enjoyed it. Thanks." "I tried other methods, but none of them were as helpful or matched my learning style as well as Gold Seal. The online learning modules made learning topics that initially seemed impossible- possible! I passed my Private Pilot written and oral exams with ease. I can't thank Gold Seal enough for giving me both the knowledge and confidence to succeed!" "I liked the Gold Seal Ground School much better than the other company with the red books. I was initially using their course but gave up on it because it was too boring. The Gold Seal approach was much better and I completed your course in just a few weeks. Thanks for the great program." "My husband took the Gold Seal Ground School last year and scored a 98% on his FAA written test. Now that it’s my turn to fly, I too, have joined. With its engaging presentations and resources, your ground school has given me just the confidence I need. I’ll be joining my husband soon as a Private Pilot. Thank you, Gold Seal, for your fun and effective program and for helping me start my new life adventure." "The Gold Seal Ground School was well designed and laid out. 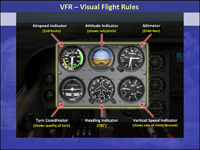 It was easy to use and got me fully prepared for the FAA written test. 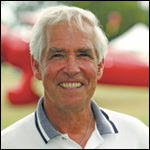 I would recommend Gold Seal to any aspiring Private Pilot." "I zoomed through my training with Gold Seal. I went home every night and studied the Online Ground School. The lessons made it easy. So thanks to you guys at Gold Seal for getting me from Discovery Flight to Private Pilot in just 51 days!" Are you thinking about becoming a pilot? Are you already a pilot? Either way you have come to the internet’s best choice for private pilot training. Welcome! Gold Seal has developed the premier online resource for pilots of any level, following the FAA’s new ACS (Airman Certification Standards). Our training is fun and engaging and provides a unique method of transferring aviation knowledge directly to you. It’s all online so you can review anywhere, anytime, on any computer or tablet. The process of obtaining a license is governed by the FAA. Click Here to discover exactly how you can become a pilot. Choosing a flight school and instructor are important decisions. There are key points that you should understand before making your decision. Download our free ebook to learn the facts you need to know. Over 70,000 pilots have registered for this ground school since 2006. Why not join them? You can start right now using the "Sign Up" option at the top. 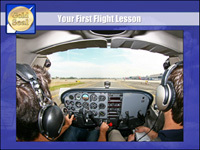 It is free and gives you instant access to a full third of the Private Pilot course. In addition to the most complete set of multimedia training modules on the internet, Gold Seal puts the most powerful set of testing functions at your fingertips. 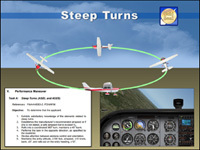 Over 700 FAA questions are offered up in module-based quizzes. Your results are automatically stored and can be reviewed whenever you like. You can print them out, or even print out lists just of the questions you missed. It’s the easiest way to prep for the FAA Written Test.